Discover over 450 varieties of fungi found in Britain and Northwest Europe with this new edition, in association with the RSPB. 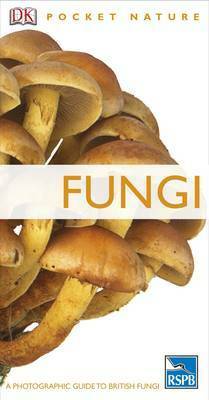 From the familiar toadstools with cap and stem to stranger fungal forms with spines, tubes or wrinkles, discover over 450 varieties of fungi with this pocket-sized guide. In-situ photographs and no nonsense notes covering species, type, colour and anatomy will help you identify them in the field quickly and accurately. Maps show you what fungi species to find where so you can plan your spotting and make the most of your surroundings, whether you are on a holiday browse or serious quest. This is an ideal guide for all the family.